It is 2:45 am and we are sharing the road mostly with overnight truckers. I get nervous when I see a truck go over the line and hear the rumble of the tires on the warning strips. I wonder how many hours they have been driving and when they will get to rest. I think about how I would much rather be in my bed, safe at home than on the interstate. I am thankful that I don’t have to drive and that Mike is so willing and capable to drive this long distance. I used to love to drive and didn’t mind long trips by myself but not anymore. I would rather be in the passenger’s seat if I have to be away but mostly I would just rather be at home. This trip is necessary although not something I want to do. Nan’s house has sold and we are closing on it today. We have a six-hour drive, then the meeting to close on the house, and then we will have a little more than 24 hours to hold an estate sale, move what we need to move afterwards, and vacate by 4 pm on Saturday. I struggled with the abruptness of these plans. We were supposed to have until Tuesday of next week, but the buyers started pressuring to get in this weekend and the decision was made to accommodate them. I was angry at their lack of consideration for our situation and their lack of understanding regarding what it will take for us to make this happen. Mostly, I am saddened at the thought of taking the things that were so important to my grandmother, dividing them up, making the decisions about what to keep and what must go, and watching so many of the things that were important to her disappear into the hands of people we don’t know and who will only be happy that they got a good deal on a material item. This is a part of life for which one has to show up and do their part as the next of kin. I hate it and never expected it to be like this. I thought Grandma, Jimmy and I would make this decision together or that she would be gone before this decision had to be made. We don’t get to choose how the details of life work themselves out. We only get to choose our attitude and whether or not we will be open to the lessons that life tries to teach us. I am trying to balance the natural feelings of pain, disappointment and grief with having the right attitude. By the time the miles have slipped by and we have arrived to the task at hand, I will do what I need to do and I will let go of the hurt I feel toward those young people buying her house who don’t have a clue that their excitement over their new home is the exact opposite feeling of those signing the paperwork that releases that home to their ownership and care. Maybe, before the rest of the trip is over I can sleep a bit. I really need the rest to face the day. We are still in a rental vehicle. We are now into the fourth month of letting our Ford Edge sit in the driveway as we wait for the company to come up with enough parts to take care of the thousands of individuals, like us, whose cars are under a recall. It is nice to have a car to drive and that we don’t have to pay the rental fees, but they require us to return every 30 days to do the paperwork all over again. We usually try to coordinate our rental renewal with other business because we have to drive a three hour round trip and lose half a day but this time, we let it slip up on us and were caught off guard. We had to make a special trip just to take care of the business at hand with the rental yesterday. The rest of the day was spent getting things ready so we could leave at midnight to go to Georgia. The early part of the week was mostly routine for me, caring for the animals, milking, cleaning house, cooking, making cheese, and assisting Mike when needed, not that he needed much assistance this week. Mostly he has been working on restoring another building. He has debated and debated as to whether we should try to save an old, large production chicken house probably built in the 1960’s. The building, structurally is not in the best of shape, but he felt like it could be salvaged and would make a good storage area for round bales of hay, equipment and maybe even part of it used as a loafing shed for the cattle. He’s been working several weeks just to get the area cleaned up. There was a large tree that had fallen on one corner of the building. Another tree was compromising the structure. He pushed back a lot of dirt that had eroded off the bank next to the building and was pushing against the structure. Inside, he cleaned out mountains of trash. When restored, the building won’t be perfect but it should provide plenty of storage for the rest of our lives. We made a trip into Floyd to pick up load of metal roofing for the building. The roof will match the barn roof and eventually, he hopes to put board and batting on the outside so the building will look similar to the barn. The old building is such an eye sore and we discussed knocking it down and cleaning up the area but hated to lose that potential space for storage. It is quite an undertaking, but it will be really nice when it is finished. For a mere fraction of what it would cost to construct a new building, we will have a decent shelter in place. I have been unable to write. I would like to make the excuse that I have not had time, and while I have been very busy, that would just be an excuse. The reality is that the last two weeks have been so emotional for me that I just have not been able to wrap my head around things, sit down and recount all that has transpired. Part of me wants to get down every detail, because that is the writer in me. The other part of me wants to just make it go away and forget all about it. Truth is, I will never forget about it. So many things transpired during the closing on the sell of Nan’s house that I left the attorney’s office just shaking my head. I shared those things with a few close friends but I am not even going to mention them in this journal. It doesn’t matter now. What does matter is that which we needed to do is done and was done to the best of our ability. And there are a lot of things I would like to say to those who have dared to think that Jimmy and I will take the money from the sell of Nan’s house and try to make it our own but again, the stupidity of people does not even need acknowledgement. The facts. Just the facts. The fact is Nan needs constant care and such that we are not able to physically meet her needs. The fact is that we cannot afford to keep her house, pay the utilities and pay for upkeep knowing she will never return there. Fact is we could have just signed the house and belongings over to the nursing home but we just couldn’t do that. Just walking away from her house seemed so impersonal, heartbreaking and not the right thing to do, leaving the things that meant so much to her by walking away from them. So, we went through the task of listing the house, selling the house, sorting and selling her belongings and putting that money in an account to continue private pay for the nursing home until that money runs out. By my calculations, I figure we have about six months and the money will all be gone. Every penny will be spent to pay for Nan’s care and it will be gone in such a short amount of time. It only makes me sad because it was not what she wanted. She said over and over again that she wanted us to be able to sell the house and split the money three ways between Jimmy, Alissa and myself. We always told her that we would do what we needed to do to take care of her first and foremost and that the material possessions didn’t matter to us. Well, that is what we have done to the best of our ability. It was heartbreaking. It was physically exhausting. In 47 hours time we drove 1000 miles round trip and cleaned out a house full of furniture, had an estate sale, and closed on the house. But, it is done and we know in our hearts we did the best we could. I was able to see Nan twice while we were there. One was short visit per her request. She was excited to see us but she struggles with her emotions and she was tired after about 20 minutes. She told us she was ready for us to leave. The second visit, she got tired, but she knew when we left that we wouldn’t be back for a while so she hung on. When I asked her if she wanted us to leave, she replied “I never want you to leave. I want to keep you here forever and ever.” She is frail and needs constants assistance but was in fact better than some of our previous visits. She was eating well, alert, and able to look at pictures with me. We had good conversation. I was able to love on her, kiss her face, and tell her how much she means to me knowing that she understood. Leaving was hard. She got very emotional and the nurse had to help her deep breathe to calm down. We slipped out as the nurse began getting her relax a bit, big, hot tears running down my own face. Typically, I sleep in the car when we drive any distance at all, but I couldn’t sleep. In fact, it was a couple of days before I could sleep more than just a few hours. There was so much adrenaline from pushing ourselves to accomplish such a large task in such a short period of time, and there were so many emotions that wouldn’t allow me to calm down and rest. When I did finally crash, I slept for nine hours but it still didn’t feel like enough. It took me several days to recuperate emotionally and physically. I texted my brother when we got back and told him that I was so very thankful that we were able to do what we needed to do and be on the same page. I see so many other families fighting among themselves for various reasons at times when they should be drawing close together. It is so easy to let the stress of difficult times, our own ideas and agendas, and differences of opinion tear us apart as families rather than be united. It was a tremendous blessing to me that Jimmy and I could be united in our decisions for Nan’s care. One thing I didn’t have to worry about while I was away was my animals. Our niece stayed at the house and kept the cow milked and the animals fed and watered. I was so thankful for her generous heart and her willingness to come and take care of things. It took a huge load off of my shoulders and was definitely another huge blessing during a difficult time. At home, her family made the sacrifices they needed to make so that she could help us. I am so incredibly thankful for the people who make life easier. Back at home we continued to plug along with daily chores and I appreciated the quietness of our home and the tranquility that I feel here now more than ever. It is a refuge for me and each time I go away from here, I come back that much more thankful for our blessings. Even my niece mentioned that our place was a “little piece of heaven” and that is exactly what it is for me, a place where I can shut out most of the ugliness of the world and rest in what is good. I have had a lot of ugly in my life, some of it forced upon me by others and some of my own making by poor choices. Some of it was a combination of both. I often think that while I want this part of my life to last forever, yet knowing all seasons must end at some point, I must never cease to be thankful for these moments in time that are so rich and a fulfillment of many of my dreams, no matter how long or how short they may be in the grand scheme of thing. Mid-week, we made a day trip to Staunton. We drove together, but Mike had some things come up unexpectedly that he needed to tend to and I ended up using his mom’s truck to drive back to Carroll County by myself so that I could milk the cow. The drive was long and I was tired after spending the day completely cleaning out our big booth at Factory Antique Mall. We had loaded everything into our enclosed trailer with the help of our son in law, and Mike hauled it down to Carroll County where we set up a new booth on the main level at Briar Patch Marketplace in Galax. It was all a tremendous amount of work but it felt good to “clean house” and set up a new display in a new location. There had been problems with theft, mismanagement, and lack of communication by the staff at Factory Antique Mall from the very beginning since we started into selling antiques there almost two years ago. Some of that comes from the enormity of the place and some of it just from management and a lot of the staff showing little regard for the property of the dealers. It is refreshing to be in a much smaller establishment where the owner and employees seem to genuinely care and the atmosphere is pleasant. This evening, I am sitting on my porch and the road out front is quiet with only a car passing now and then. My cows have been milked for the day, and I know that all the animals are currently safe and content. Mike is watching a football game on television. We have had a nice day attending church with those we have come to love like family and then having lunch and spending time with Mike’s sister this afternoon. We ate good food, we laughed, and we had serious conversation. I am just thankful for life’s simple gifts and for love that is ours both to give and to receive. As this month moves forward, I am deeply aware of what month it is. 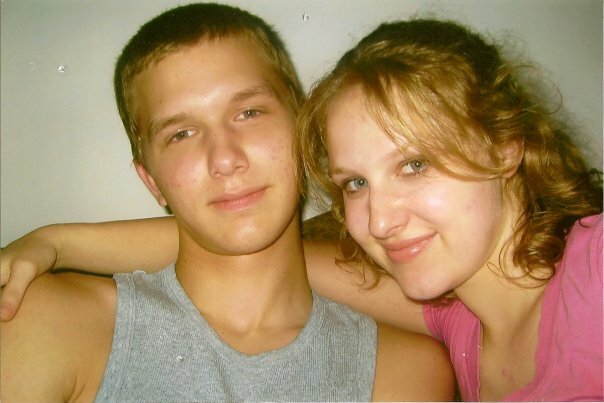 This week marks a decade since my son Joshua left this earth. My heart still aches in the way that only a mother who has “lost” her child can ache. My mind still reels thinking of how my precious son died and the fact that we will never know for certain the events of that night and the horrors that were faced in those final moments of his life. In some ways, there is never any closure when a mother can’t for certain say what happened to her child at the moment of his death. I have often thought that if my son’s death were a clear suicide case, then I would at least know exactly what to say when people ask. On the other hand, if investigations had revealed a clear murder case, then I would say without hesitation that he was murdered. Instead, I am forever left not knowing for sure what happened that horrible night. I have my dream, my vision that occurred at the moment he was shot, before I ever received the phone call telling me it had occurred. I will never forget awaking from a deep sleep, the nightmare fresh in my mind of my son’s death and the feeling of his presence leaving this earth. At that time, believing it was only a terrible dream, I forced myself to let it go and return to sleep, only to be awakened by a telephone call from my ex-husband telling me that what I thought was a nightmare, was in fact a reality. I will never forget those moments with his life suspended between heaven and earth as machines and doctors kept his heart pumping, my own heart telling me that he was already gone and that as a mother, I needed to return his precious body that I had born inside my own to the earth. Although my heart continues to believe that he would be here today if it were not for the young man who loaded three bullets into a shotgun and brought it from an adjoining room and either forced or encouraged my son to pull the trigger, never will we know for certain what happened that night and while it will always be murder in my mind, the courts determined it was assisted suicide. This is not something a mother lives with easily, and I have had to learn to live with my deep grief, pain, confusion, and lack of answers. What I have had to do is learn to find peace without any answers and in spite of the grief. For a number of years, the grief kept me from really being able to live fully, and so much of life passed me by as I struggled just to hang on to my sanity, but God is gracious and somehow through all the pain, all the hurt, and all the mistakes I have made in dealing with my grief, I have found myself in a place a decade later where I can recognize the intensity of the hurt, accept the fact that I will never know why or how it happened, love my son more than life itself, and yet be able to embrace life fully and live with joy. Every previous September since Josh’s death I have struggled to function through the first two weeks of the month, dreading the 16th and the anniversary of Josh’s death and how I would face another year without him. This September dawned upon me and I met it with a thankful heart for all that Josh has taught me both through his life and in his death. Never would I choose this path but life chose this path for me, and that which I do have a choice over is how I live the rest of my life in spite of the broken pieces that will always be there. The last ten years has been a journey learning how to pick up the pieces and live again. While there is an element of aloneness in grief, I have not had to face my grief alone. I have had a husband who, while not perfect, has stood beside me when others would have walked away. I have a daughter who, in her own pain of losing her brother and best friend, has never abandoned me in my grief. I have two wonderful step children whose love has born me through some most difficult times. I have a best friend who is never more than a phone call away and I have extended family and friends who have loved me through the dark days. Most of all, I have never lost my Faith. My beliefs have changed somewhat as such a deep tragedy caused me to question some things I had been taught by either words or actions of the Christians I have known throughout my life, but never have I lost Faith in a God of Love. In fact, I believe now more than ever in that Love. It has been a difficult decade, since Josh’s death on September 16th, 2008 but if Josh has taught me anything during his life and death (and he has taught me more than I can ever express), he has taught me that living fully is the best way to keep his memory alive. Those years of living so deeply in grief that I was unable to even walk through a day without falling apart in some way (although often in secret so that I did not burden others with my pain) were a necessary part of the healing process but had I become stuck there, I would not have learned the full lesson of what Josh’s death had to teach me. (I don’t believe that God forces evil upon us in order to teach us lessons, but I do believe that life is full of minor difficulties as well as major tragedies that give us opportunity to grow if we remain open to the lessons.) It was a difficult process and grief takes its time. It can’t be rushed. It takes longer for some than for others and we cannot project our own timeline on someone else who is in pain. But somewhere within that journey, one has to come to the point where they step out and embrace joy once again. It starts small. I remember the first time I smiled after Josh died. I felt like I had somehow betrayed his memory by allowing myself a moment of happiness. It wasn’t long after that the concept of joy and sorrow coexisting in the same heart took root in my mind. I have stuck to that over the years, allowing both of these emotions to coexist, giving space for each of them and giving myself moments where I have held each emotion close and allowed it to grow and swell until it almost, almost blocked out the other. Each still remain and will always remain but the knowledge that I don’t have to force one out in order to experience the other has given me the freedom to relax into my grief and to live my life fully also experiencing joy in its completeness. I will have some down time this coming week where my heart will break and the tears will fall but I started out this week of remembrance giving into my desire to dance when a stranger pulled me onto the floor as guitars, banjos, fiddles, mandolins, and the base together formed the old-time mountain music that I have learned to love so much. Both of these are acceptable, the dancing as well as the tears. Most of all, I will face this ten-year anniversary of my son’s death knowing that I, with the love of family, friends, and my Father in Heaven, will be able to face ten more years and then another ten if I live long enough. That is something I never dreamed possible at the time of Josh’s death. I remember distinctly wondering how I could ever make it through one day without him. Not only will I be able to survive the years without him, but I will be able to dance some as well. Josh took up playing the guitar about a year before his death. While the old time mountain music was not his music of choice, I couldn’t help but think last night as I recalled the events of the day, that somewhere on the edge of that circle of musicians sat my son, with guitar in hand and a smile on his face, playing his heart out while he watched me dance. Josh was just a shadow, not visible to anyone but me, only a presence that a mother can discern, but I know that he was there, cheering me on, encouraging me to remember what matters most.